The number of young people studying languages in the UK is falling. Determined to change this, the University is running an increasing number of events to highlight the life-changing power of languages. Only five per cent of the world’s population speak English as a first language. Three quarters of humanity cannot speak English at all. And the UK economy is losing billions of pounds every year through a lack of language skills. Despite this, the proportion of UK students taking GCSE languages fell from 78 per cent in 2001 to just 40 per cent in 2011. Meanwhile, A-Level language entries have declined by 28 per cent (1996 to 2014). Take-up of languages is particularly low in state schools which accounted for only half of A-level entries in 2014. As a global University which provides teaching and resources in more than 170 languages, Cambridge is committed to inspiring young people, particularly those studying in state schools, to embrace languages. Every year, around 200,000 individuals take part in access initiatives run by the University and its Colleges. This programme includes an increasing number of events organised by and with the Faculty of Modern and Medieval Languages (MML), the Faculty of Asian and Middle Eastern Studies (AMES) and the Language Centre, which supports the teaching and learning of languages throughout the University. 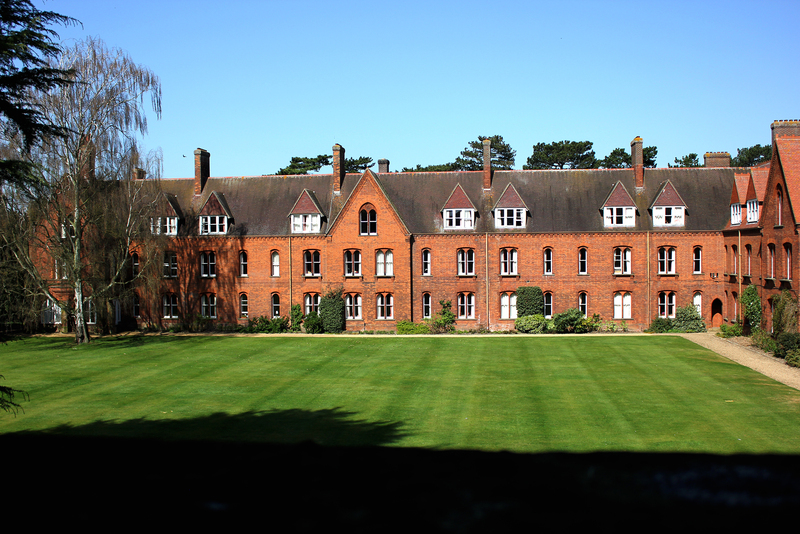 Languages may be suffering at many schools but Girton received an overwhelming response from teachers when it proposed a packed programme of multilingual talks and workshops. Supported by the Faculty, Girton was able to welcome seventy Years 10 and 11 students from non-selective state schools from across the country. Teachers were asked to nominate up to two students based on who they thought would benefit most from the experience. The event was the brainchild of two Girton Fellows, Dr Claudia Domenici (Dept. of Italian) and Dr Stuart Davis (Dept. of Spanish & Portuguese). 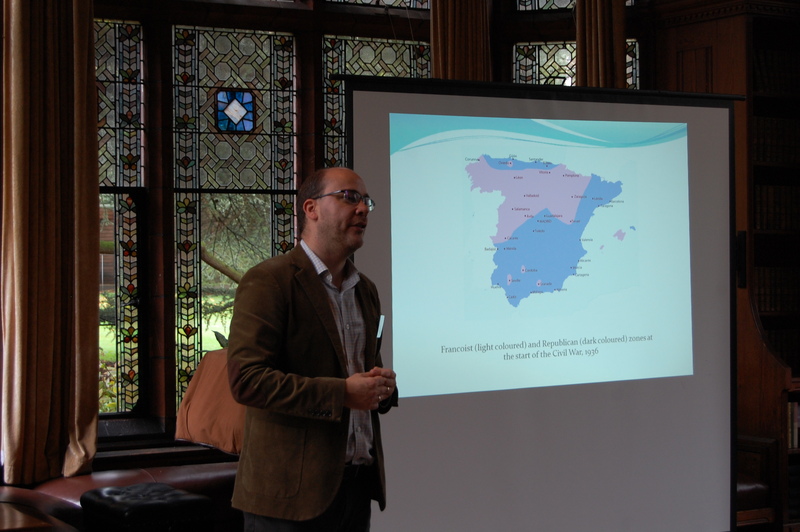 “I’ve been delighted to see interest in Spanish, my specialist language, growing in recent years. But it has been so disheartening to see a general decline in take-up for GCSE and A-level languages. The event began with an inspiring welcome from Jocelyn Wyburd, Director of the Language Centre. Jocelyn combined sobering warnings about the risks of monolingualism – “In a global job market, your competitors include people from all over the world who speak two or more languages” – with examples of the exciting careers which languages can lead to. The next speaker, Dr Hannah Scott, provided a case in point. Hannah studied languages as an undergraduate at Cambridge and is now a Fellow and Teaching Officer in French at Girton. As part of her degree, Hannah learnt Spanish from scratch and said “Cambridge can take you from zero knowledge of a language to AS Level standard in three months.” This prompted gasps of amazement from the audience. Hannah enthused about the variety and flexibility of Cambridge’s language courses as well as their culturally immersive nature. At Cambridge, students master languages by exploring the societies and cultures which they serve. A crucial part of this process is the Year Abroad, a life-changing opportunity in the penultimate (third) year of degree courses in both MML and AMES, to study, work and/or volunteer in another country (and language). The Faculty’s portfolio of Years Abroad undertaken by its students would turn Phileas Fogg green with envy. At this point, Girton invited its visitors to join one of four culture workshops, each led by a specialist at Cambridge. Stuart Davis spoke about the Spanish Civil War, Hannah Scott about hidden secrets in French Impressionist Art; J D Rhodes on Neo-Realism in Italian cinema and Giuseppina Siverstri on linguistics. This was followed by an opportunity to take part in one of four language workshops: Italian with Claudia Domenici, French with Christopher Gagne; Spanish with Alicia Pena-Calvo, Portuguese with Felipe Schuery or Hebrew with Ben Outhwaite. Ben explained the fascinating mechanics of Hebrew, an unfamiliar language to most of his group. Christopher gave his students a crash course in French slang and invited them to discuss the diverse use of language by different generations. Despite most of his students being new to Portuguese, Filipe spoke entirely in the language, using hand gestures to help translate. 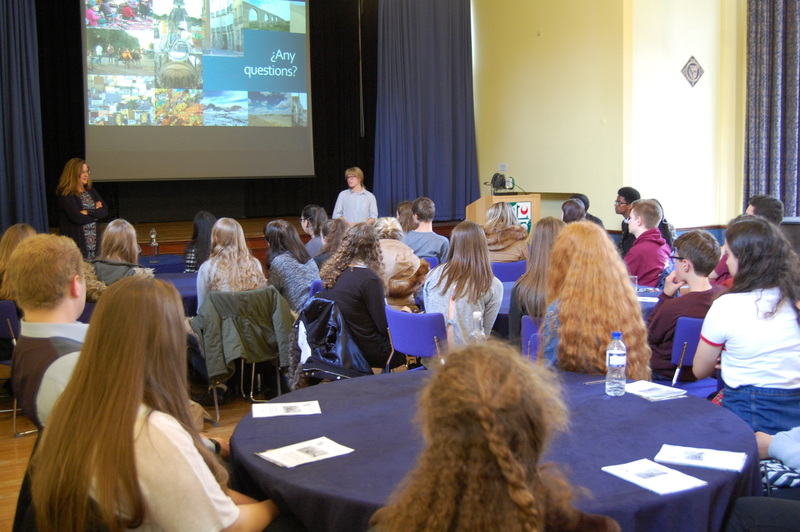 At the end of the day, Girton’s Schools Liaison Officer, Erin Charles, provided advice about A-Level choices and aiming for university. This was followed by an opportunity to quiz current students about A-Levels, starting at Cambridge, Years Abroad, what they intend to do when they leave Cambridge and how they think a language degree will help them. 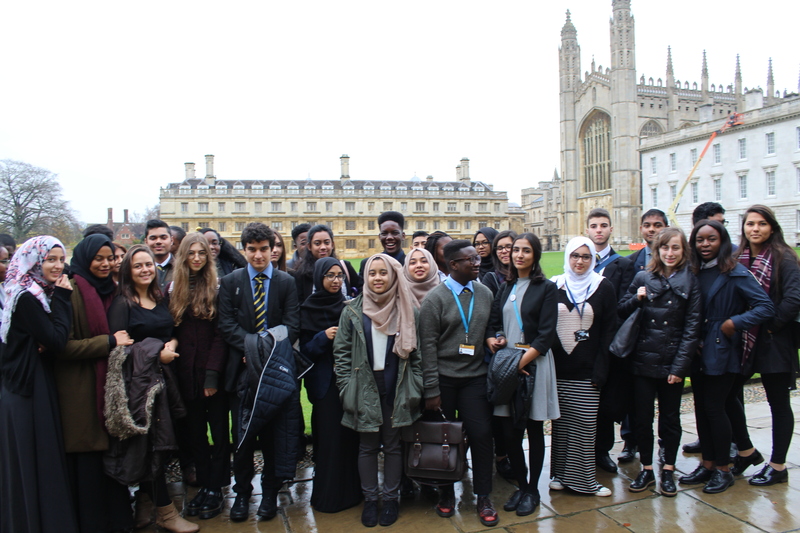 The MML Faculty and Cambridge Colleges offer regular language-inspired access events to schools and sixth form colleges throughout the year. On 5 November, undergraduate contributors to the MML magazine Polyglossia welcomed 37 sixth formers from the London Academy of Excellence in Newham. 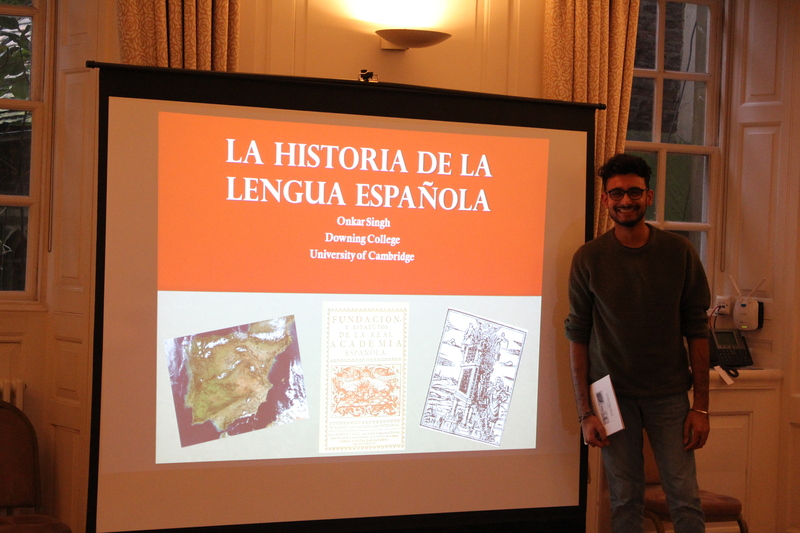 Onkar, a Second Year at Downing College, gave a talk on Hispanic linguistics and sociolinguistics and was impressed by how “enthused and engaged everyone was in the discussion”. 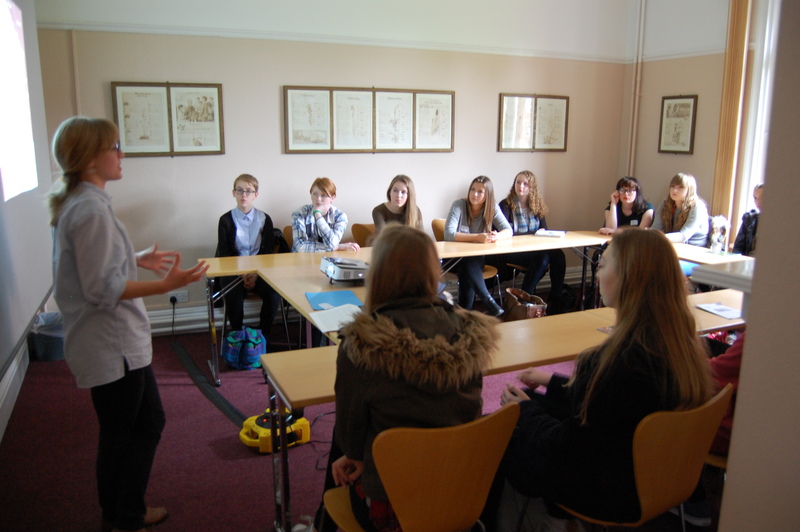 Other sessions included an overview of MML at Cambridge, talks on German and French, and advice on applying to university.